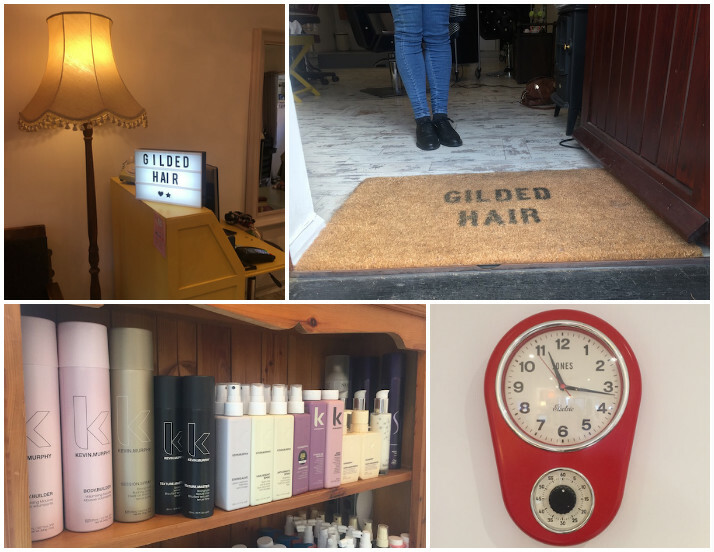 I’m full of admiration for this little pocket rocket of a hair salon tucked away in Wokingham’s delightfully quirky Holme Grange Craft Village. 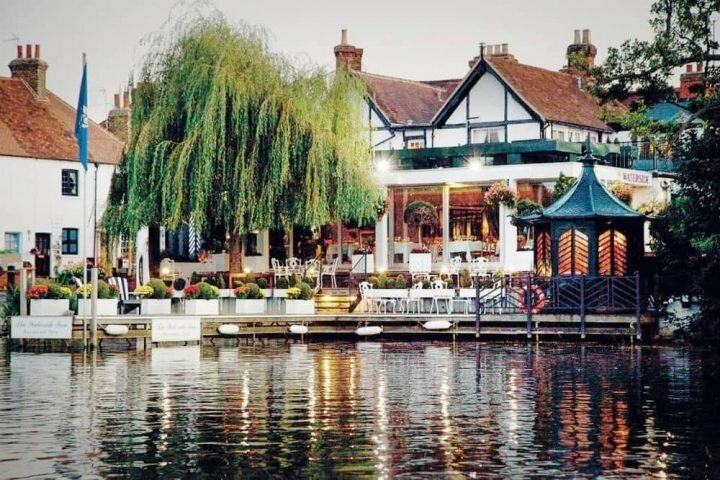 First off, Gilded Hair won Best Hair Salon in the recent Muddy Berkshire Awards. Secondly, there’s nothing around here quite like it. 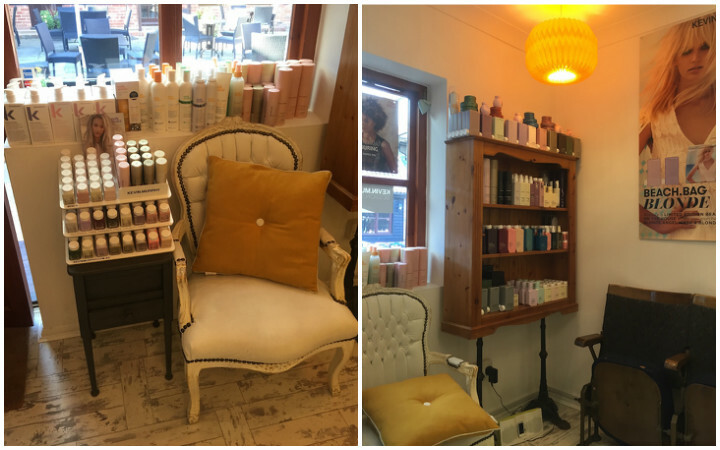 A little space of follicular perfection, set in a modest, cosy space – no glitzy high street slickness here – suggesting nothing of the brilliance that lies inside. Speaking of brilliance, if you’ve not visited the Village yet grab the chance the next time you see a chink of light in your diary. 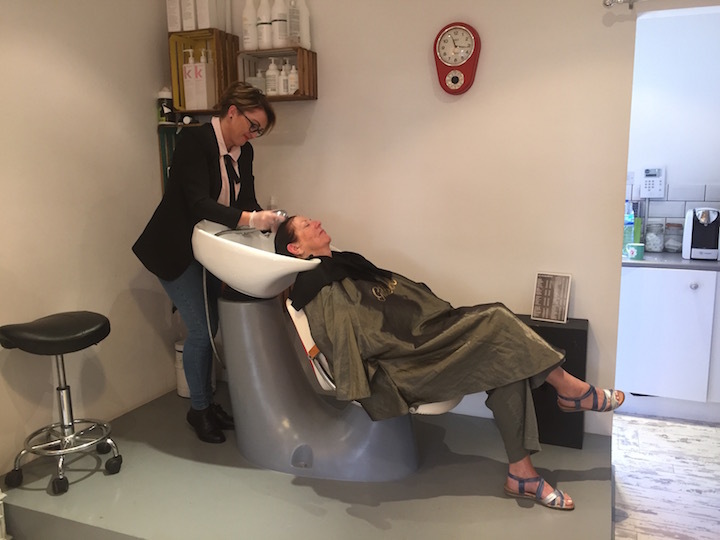 It’s actually home to TWO Muddy Award winners – my next stop on the review train is A Beauty Revolution who came storming in at the last minute to clinch the title of Best Beauty Salon. 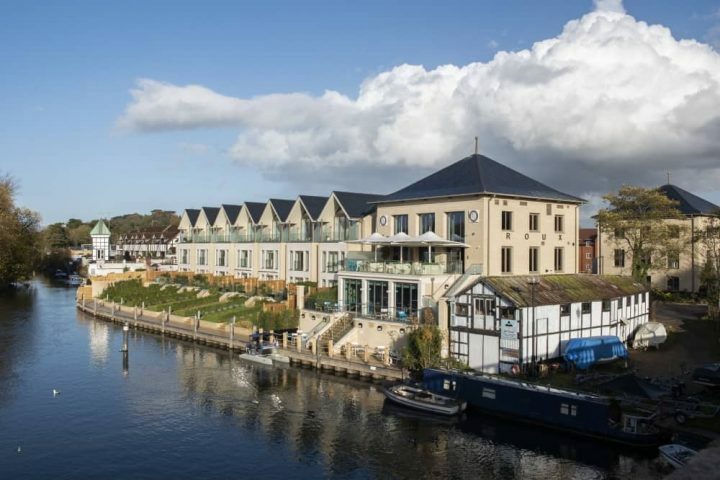 The village also has a fab café and a lovely mix of shops and services from food to interiors to fashion, and if you have mudlets hanging off your coat, there’s Brickies, a brilliant LEGO play centre for kids. There’s also a fruit picking farm just next door so keep that in the memory bank for the spring. 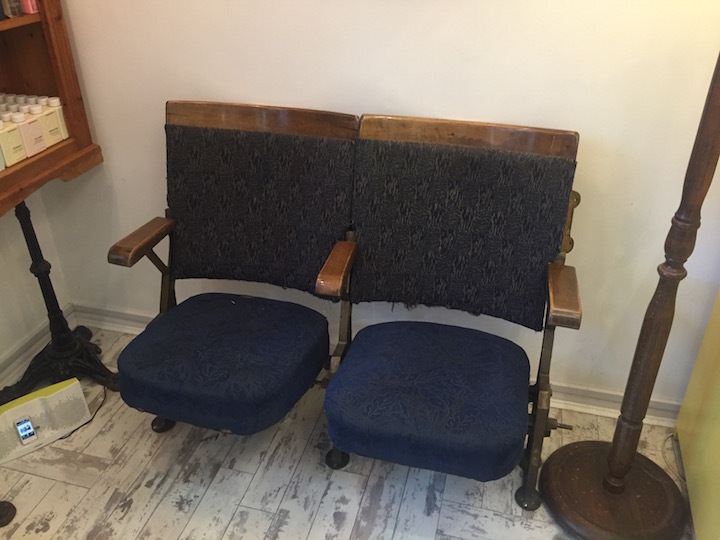 Vintage cinema seating while you wait to be bouffed and coiffed! Anyway, let’s get back to the barnet. I did have a brilliant cut and colour here from owner Jo Gilder, a woman funkier than I can ever hope to be, and also massively experienced, having started working at a salon in Sunningdale when she was 14, after she’d spent her childhood shaving kids’ heads in the neighbourhood with her mum’s Ladyshave! 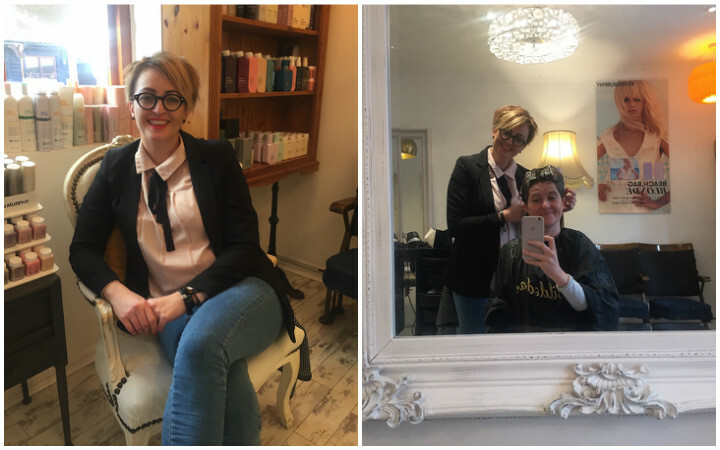 She’s been cutting and colouring for 26 years, and trained and worked at all the big salons both locally and in London, and always knew she’d open her own boutique salon when the time was right. 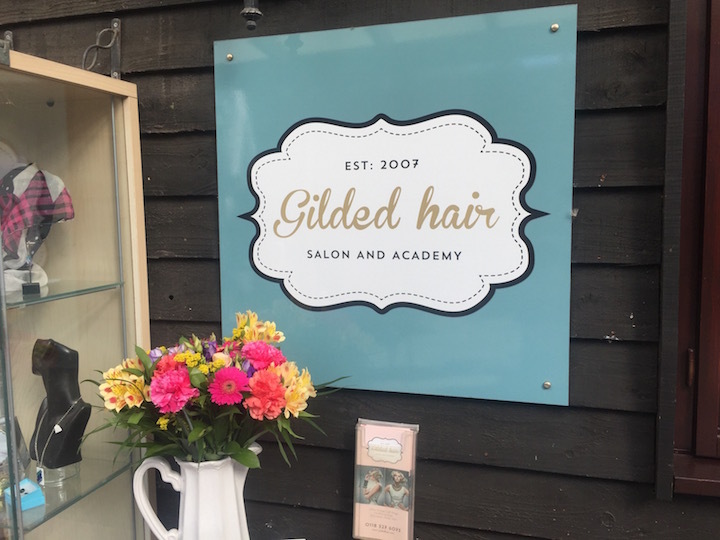 Jo opened Gilded Hair at Holme Grange in 2014, having originally run the business from a salon on the side of her house for five years. This makes total sense to me as she does the personal touch like no hairdresser I’ve ever met before. I felt more like I was in a friend’s sitting room catching up over a cuppa. A very cool Vintage-loving friend that is… ‘I love nothing more than a victory roll!’ she says. On the day I visited, the Dreamboats and Petticoats soundtrack was playing, tea brewing, one other client chatting away (there are 2 other stylists and only 3 client ‘stations’ with the wash basin set on a plinth in the same room) like I said, cosy! Unquestionably, it’s a very different experience having one person do your cut and colour in a small room, more intimate, and you’d think it could be a bit uncomfortable, but I didn’t find it that way at all. 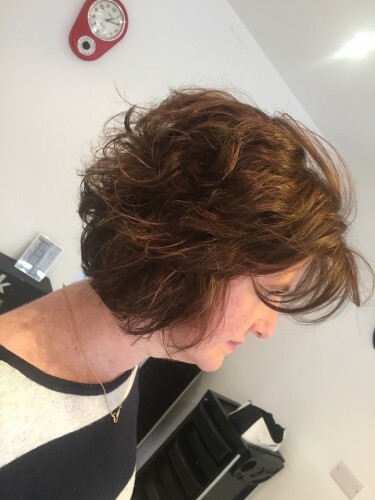 Jo is very easy to get along with – she’s very laid back, massively passionate and knowledgable about hair, and also understands that you might not want to chat all the way through he process, or even at all. When it’s just you and a hair stylist for two hours or so, you really are getting the massive benefit of their attention. No one is having ‘you’re next client is here’ whispered in their ear, or fobbing you off on the trainee to burn your scalp under the shower head. It’s a VIP style treatment at a price that frankly undercuts the bigger salons because of the small overheads, so everyone’s a winner. And I like this cut a lot. Jo gave my hair a lot of thought and we chatted about what worked with my face shape, how much time I had to spend on my hair in the mornings, products I used, what worked, what didn’t etc. She admits to being a bit geeky and loves the science of hair, why the follicles do what they do, what certain products contain. Jo is a big fan of Kevin Murphy products because they’re all natural with no parabens and have tighter molecules so they don’t open up the hair follicles so much meaning less damage to the hair, plus good old Kev uses ammonia-free bleach. If you really want to get to know the ins and outs of your hair, Jo’s your girl. Ooh, serious face! I think I was trying to do sultry?! She did something different with the Muddy barnet, giving me a few more layers and volume to the top and back, and a lovely warm colour mix of fudge, caramel and chocolate tones (I just need a blob of squirty cream and a cherry on top!). She also showed me a nifty way to update my bob using hair straighteners to add some defined twists and curls so I look less mumsy and scrunched. Never ‘scrunch’ by the way – the more you scrunch the fluffier it gets because all you’re doing is rubbing the hair together – instead, lift the hair up and hold the curl in your loose hand blow-drying up from the roots. Here endeth the follicular lesson. Anyway, if you happen to be in the Wokingham vicinity, I don’t have even a hair’s breadth hesitation to recommend Gilded Hair. Different, quirky and quality. It couldn’t be more Muddy if it tried. 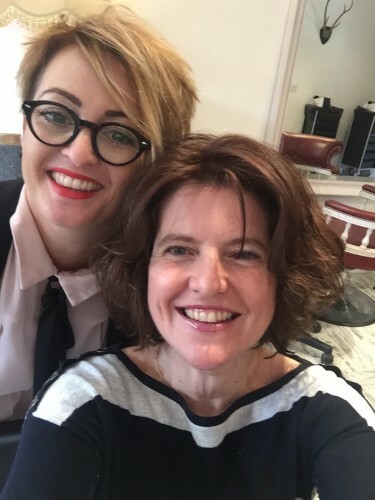 Plus, Jo is offering a whopping *50% discount for Muddy readers* on a cut and blow-dry with one of her Stylists during November. Just contact the salon to make your booking! Great photos and your hair looks amazing . Gilded Hair = Amazing, Jo is awesome & her business clearly has dedication put into!